Ald. Taliaferro is hosting a workshop from 6 to 8 p.m. Sept. 12 at the Columbus Park Refectory, 5701 W. Jackson Blvd. 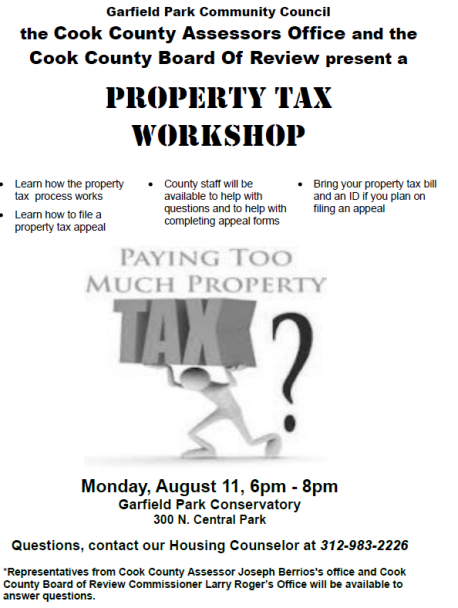 Representatives from the Cook County Assessor’s office will be on hand to help guide you on how to appeal your taxes. Learn how to appeal your assessment and possibly lower your bill.